The woman who went by the name “Jihad Jane” — a made-for-TV moniker — pleaded guilty Tuesday in federal court in Philadelphia to terrorism charges that included allegations that she was involved in a plot to kill a Swedish cartoonist who depicted the Prophet Muhammad with the body of a dog. 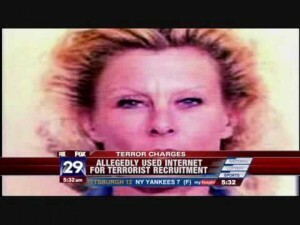 Colleen R. LaRose, aka “Jihad Jane,” 47, pleaded guilty to conspiracy to provide material support toterrorists, conspiracy to kill in a foreign country, making false statements and attempted identity theft, the U.S. Attorney’s Office in Philadelphia said. 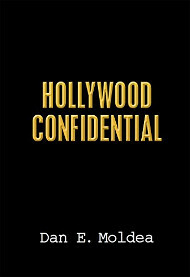 She faces up to life in prison when sentenced by U.S. District Judge Petrese B. Tucker. LaRose, a U.S. citizen and former resident of Montgomery County, Pa., was indicted last year along with Jamie Paulin Ramirez, a U.S. citizen and former Colorado resident who is set to go to trial on May 2. Authorities charged that LaRose and her co-conspirators recruited men on the Internet to wage violent jihad in South Asia and Europe, and recruited women on the Internet who had passports and were able to travel around Europe in support of violent jihad, the U.S. Attorney’s Office said. Authorities said LaRose and her co-conspirators used the Internet to establish relationships with one another and to communicate their plans, which included martyring themselves, soliciting funds for terrorists, soliciting passports and avoiding travel restrictions through the collection of passports and through marriage. Authorities said she agreed to carry out the plan, and figured her appearance and American citizenship would help her blend in while executing the plan. She was never successful in carrying out the plot. Posted: 2/2/11 at 10:21 AM under News Story.